I Love to play badminton . I find its rules interesting,sometimes we often play with my friends and even have competitions in school activities. I no longer play badminton because of doing important some requirements in school but Badminton will exist as long as generations go on.So its not the end for me if i cant play these days. 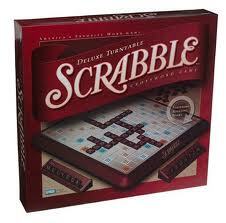 The challenge of playing scrabble develops my cognitive skills. It motivates me to think words and how they may use them for players could ask me of their definition. It is not just a past time but test my memory.